Rick, Piper, and an EPIC Special Guest talk about everything Funko, Emerald City Comic Con, Hot Dogs and Funko News. They also take time to interview their Special Guest for the Collectors Series. The team also talks about Dirt Cheap, more of Rick’s Stories from the Road and what it’s like to work for the company you have been a fan of. Have you guessed who the guest is yet? Well you won’t be disappointed that’s for sure. Join the team for some laughs, great stories, Funko and as always Fun. Tune in next week for another Collector’s Series Episode with Tim and Jimmy. ECCC is all wrapped up for 2019, can’t wait for 2020!!!! Auctions will return 3/29/2019! Items will be announced on our social media channels and auction will be held LIVE!!! All invoices must be paid within 5 days or item will be forfeit and placed in next auction. 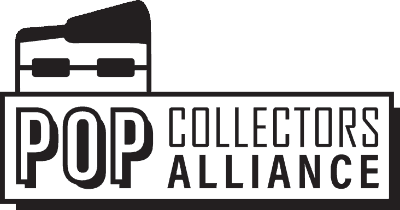 The post EP051 – ECCC We have Arrived! With a VERY Special Guest appeared first on AstroPanda.